Really, it's more fun in the Philippines. As the national elections come closer, the filing of certificate of candidacy (COC) with the Commission on Elections (Comelec) has intensified. Hence, creating chaos and confusions in the process. Amid all this, politicians and members of their immediate families are gearing up to make a headway by jumping into the political spotlight. Why not? For as long as there is no law that will prohibit the practice of political dynasty in the Philippines, sons and daughters, and even grandchildren of politicians, will join the fray, if only to enjoy the perks and privileges that a politician enjoys when he is elected into public office. The question now is how come immediate family members of politicians are joining the political race? Is it because they want to be recognized? Or simply they wanted to help introduce developments in their communties? There are no specific answers to these questions. However, if you will ask me, I can say that foremost in their minds, once they are elected into office, is to dip their hands into millions of taxpayers' money that are allocated to them as part of their pork barrel funds. If not, what is it that they are after they are elected into office? Without these pork barrel funds, I wonder if these politicians would still be interested to run for public office. On the issue of political dynasty, I don't think Congress will ever consider passing a bill that will make it illegal for immediate members of the family to run for public office. 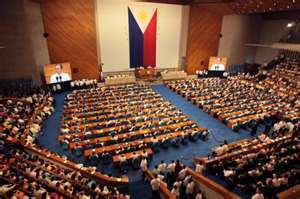 Otherwise, the enacted bill will become a stumbling block for them to join the political bandwagon. It is a shame to know that we can only hear and read on the issue of political dynasty in the Philippines. In other countries, the practice of political dynasty is frowned upon. Why? Because it tends to break the integrity of the ballots comes election period. And do you think that those who are sitting in power right now will not do something to exhaust all means to make their candidates win? Worse is that there is an inclination that public funds may be used to defray the costs of achieving that victory, no matter what the costs are. The way I look at it, political dynasty is becoming a trend and a strategy by the political patriarchs so that their influence and power in a particular place will remain strong in many generations to come. If this is not corrected, the good intentions of good governance to become effective will be weakened because many of those who are in local governments and in Congress are either nonsense celebrities whose only qualifications are their popularity or sons and daughters of those who are sitting at the throne of power. What then will happen to the country if most of those who are elected into office are either related by affinity or consanguinity? That's the time when the Philippines will become a Banana Republic, where graft and corruption becomes rampant.